Go ahead and indulge yourself! 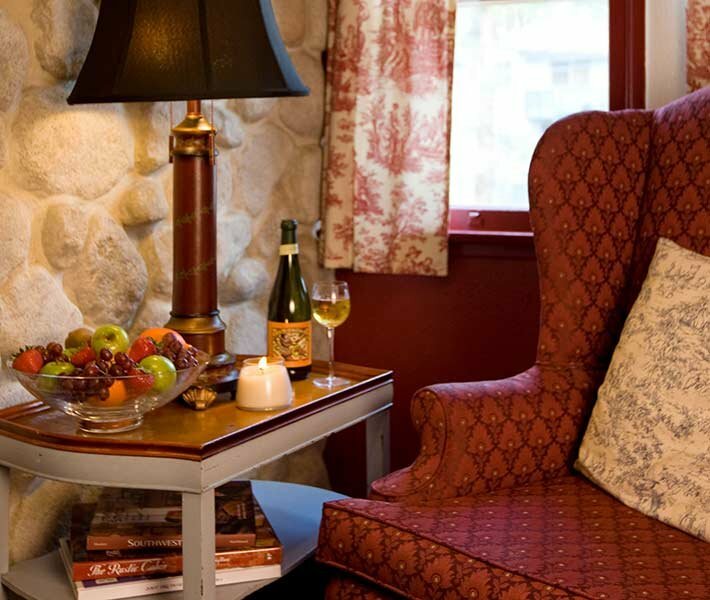 Our Presidential Suite is for those who desire the best of everything but appreciate the classic atmosphere and rustic elegance of Southern California’s mountains. A spectacular river rock fireplace is the focus of the suite – embedded with 20 million year old fossils and artifacts from Big Bear’s mining days. 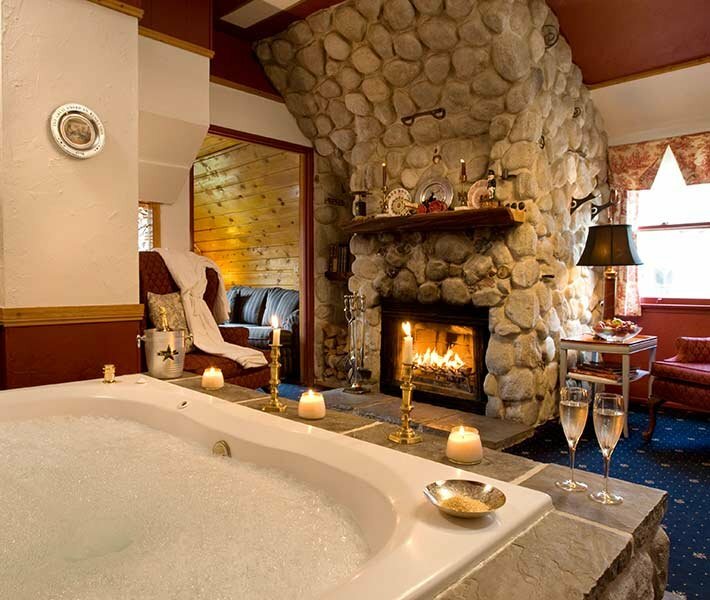 Soak in in the two-person river rock surround Jacuzzi and feel the pull between staring into the fire’s dancing flames or your loved ones eyes. 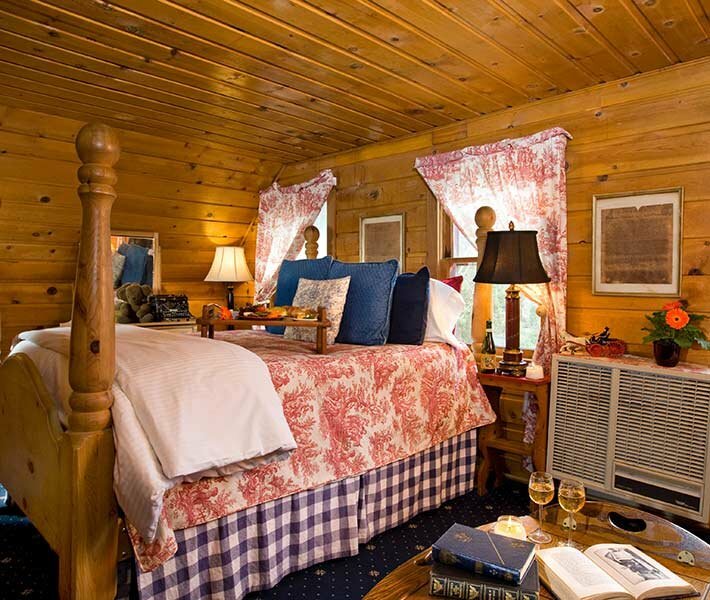 Retire to the suite’s massive grand four-poster queen sized pine bed made cozy by tongue and groove walls and ceiling and within view of the fireplace. Since this was the original chauffeur’s quarters it has its own stairs that lead up from the wrap-around porch. Like the chauffeur did, you can use this as your own private exit onto the veranda and into the gardens. "This was our first stay at Gold Mountain Manor and it was the most perfect start to a wonderful new year! The Presidential Suite with its luxurious tub was enjoyed by all!! We thought we had gone to heaven soaking in the milk bath but realized the next morning at breakfast that was heaven!! Our kids cleaned their plates! Thank you! We love it here!"